Are you setting up a freshwater aquarium? Have the fish but not the plants? Or do you have the plants but it doesn’t look quite right? 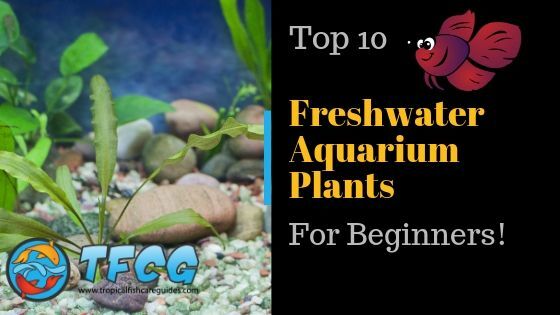 This article contains a list of the best freshwater aquarium plants for beginners. If your aquarium looks too spartan or artificial, the products on this list can help to make it look more natural. 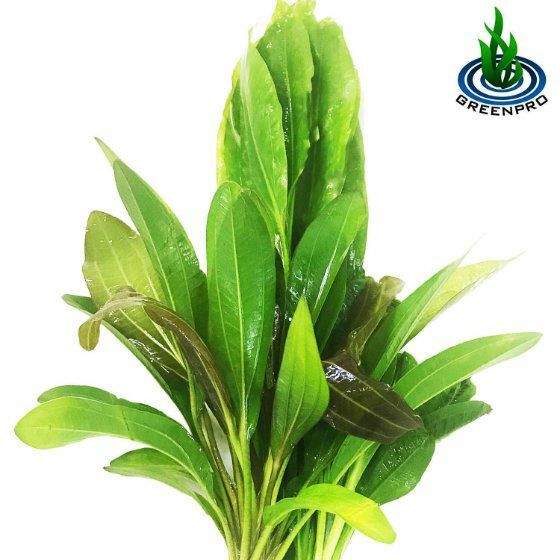 Having aquatic plants is also good for the health of your fish, as these plants convert carbon dioxide into oxygen for your fish to breathe. Combined with LED lighting, the right plants can look incredible. You need to make sure you purchase suitable plants for your aquarium setup if you want them to thrive. For example, some plants need a certain amount of light and others are more suited to a certain kind of temperature. Read on to find out some options available to you! Why Do You Need Plants? What Types of Plants Are There? What Are Some Problems to Look Out For? Good packaging: Since aquatic plants are sensitive things to transport, this is important. The quality of the plants doesn’t matter if they don’t make it to your home in one piece. Reviews: Pay attention to user reviews. If there’s going to be any issues with the packaging, the reviews will likely bring attention to it. Fast shipping: The longer these plants spend in transit, the worse shape they’re going to be in when they arrive. The sooner you can get them to your door and into the aquarium, the better. Quantity: When searching for the best deal, make sure you take into account the amount of plant you’re going to get. Don’t just go for the cheapest listings, as these could contain significantly less of the plant you want. If you’re looking for a great carpeting plant for your aquarium, you should consider a carpet of Dwarf Baby Tears. As this plant grows, it’ll produce a vibrant thick carpet that’ll cover your whole aquarium. As it produces oxygen, this plant will produce tiny little bubbles. This creates an amazing effect when it’s spread across the whole carpet. Dwarf Baby Tears are best grown in high light conditions. The quality of light it receives will affect how it grows. Java moss is one of the most common plants you’ll find in aquariums. So why is this plant so popular? Well, it’s pretty low-maintenance. In order to kill Java Moss, you’d probably have to be actively trying. Java Moss also grows fairly quickly. It can sometimes float, so it’s a good idea to anchor it to something to prevent it from floating to the top. Java Moss will grow well under just about any lighting but prefers medium to high lighting conditions. It grows at its fastest at around 70 degrees but can grow well in a variety of temperatures. 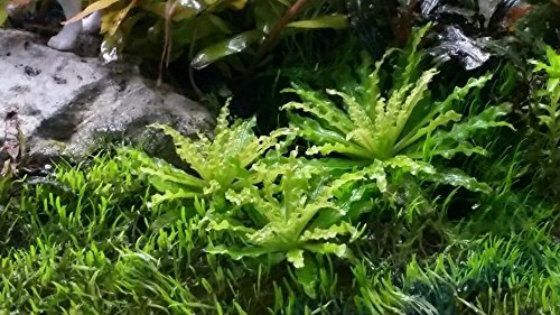 This is a plant that offers endless aquascaping potential. 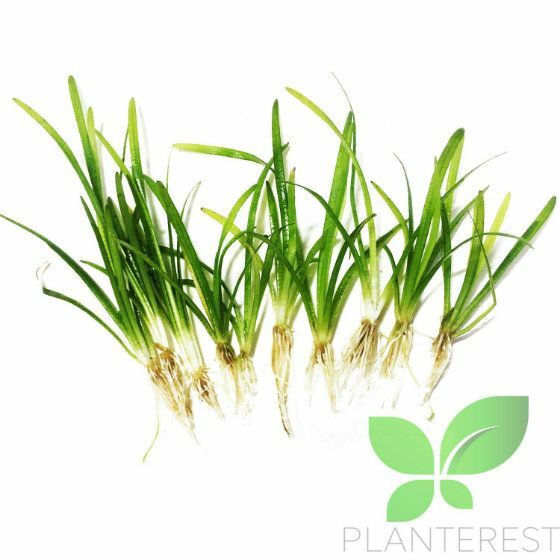 Dwarf Hairgrass is really easy to grow, making it a great choice for beginners. Its bright green colors contrast perfectly with other elements in your tank. For example, it looks great alongside stone, sand, or soil. It grows so easily you’ll probably find yourself trimming it frequently. Dwarf Hairgrass likes bright light, but it should thrive under a reasonable range of conditions. The Amazon Sword plant is found in a great number of aquariums and for good reason. Not only is it easy to grow and maintain, but it also looks great when it’s arranged well. 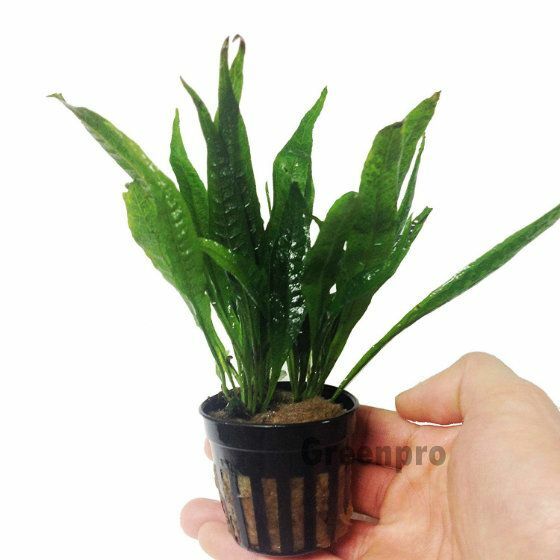 You should be aware that this plant can grow up to 20 inches tall. They’re therefore more suited to the background area of your aquarium. The large sword-like leaves of the Amazon Sword are a great way to block out unsightly hardware. The Anubias Nana plant is a versatile plant that’s well-suited to the mid-ground part of your aquarium. This plant can grow in almost any kind of water and environment. 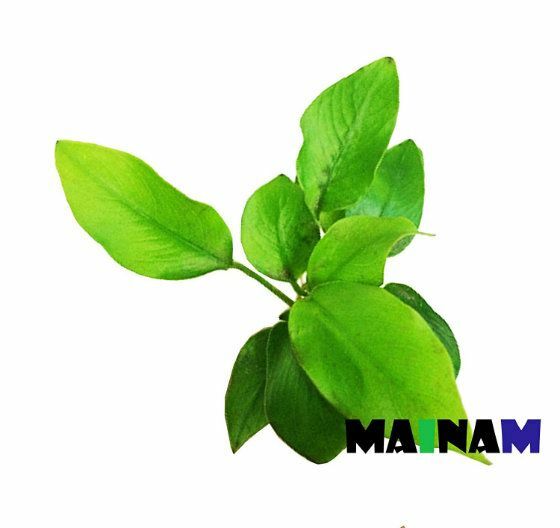 It has large semi-rounded leaves, which make it look great among the rocks of your aquarium. Not only does this plant have one of the most interesting names on this list, but it also looks very unique. It has a distinctive zig-zag pattern on its leaves that gives it an almost otherworldly appearance. This kind of plant looks especially beautiful when you place it around hardscapes. This is a plant that grows best under medium lighting conditions. 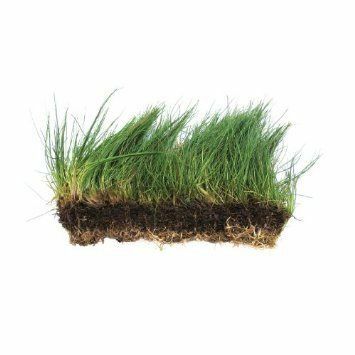 This is a plant that resembles grass. It’s quite easy to maintain and will generally stop growing once it reaches around 4-6 inches. It’s a great plant to place around driftwood or stonework. It works best with a medium level of lighting and prefers water that’s around 72-78 degrees. 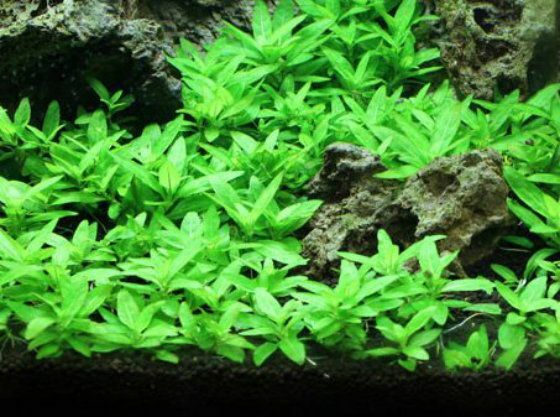 Staurogyne Repens is a compact and strong plant that’s intended for use in the foreground of your aquarium. This plant will grow to around 2 inches tall and may require some trimming. 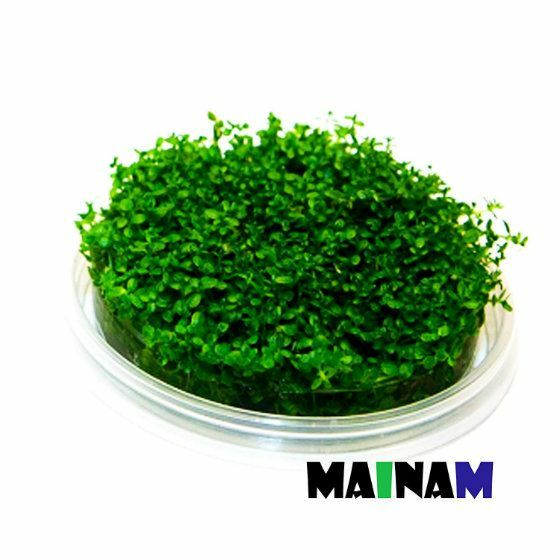 It isn’t too difficult for the Staurogyne Repens to thrive so it’s a suitable plant for beginners. This plant requires medium to high levels of light in order to grow well. Not only is this plant easy to maintain, but it also looks unique, making it very appealing. If you want a plant among your hardscape, this is a fantastic choice. This plant looks great but doesn’t distract from your hardscape features completely. 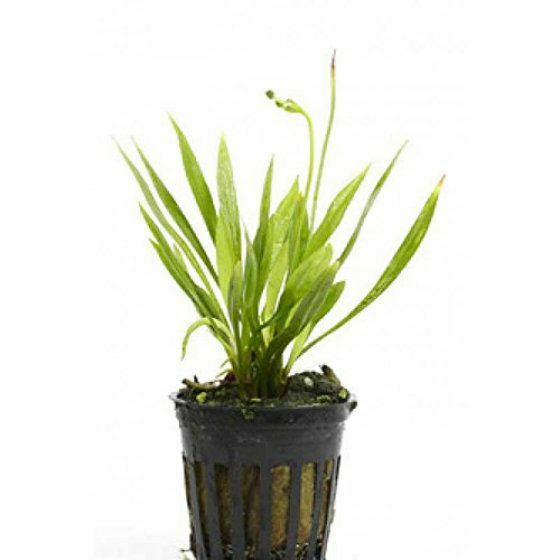 This plant is best suited to lower light environments. This is another plant that looks quite similar to grass. For it to look its best, you need to trim it down properly. It looks amazing when placed around hardscapes. Another good thing about this plant is that it’s incredibly resilient. It’s almost impossible for you to kill it by mistake. This plant grows optimally in medium lighting and water that’s 72-78 degrees. Here are some answers to commonly asked questions to help you out if you’re new to aquariums. One use for plants is to convert carbon dioxide into oxygen for your fish. 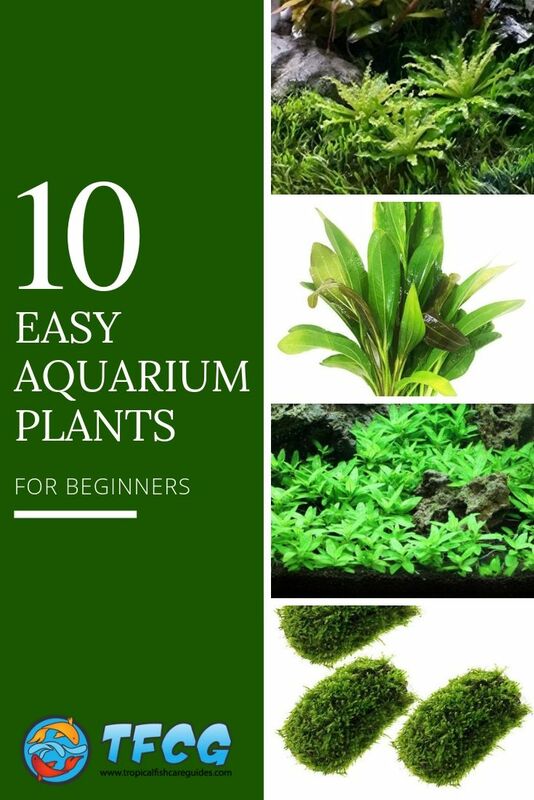 Not only can these plants provide more oxygen for your fish, but they can also remove harmful chemicals from the water, ensuring healthier fish. Plants can also help with the wellbeing of your fish in other ways. When you have a good amount of plants, the tank simulates the real-world environment of fish. Plants can break up sightlines and give your fish a place to shelter. This is especially important if you have fish in your tank that are territorial. Plants are also a great way to hide some of the more unsightly elements of your aquarium. For example, if you have things like water pumps visible, you could use a tall growing plant to cover it up. This results in an aquarium that naturally looks beautiful. Generally, aquarium plants are divided into three distinct subcategories. Firstly, there are foreground plants, which are placed in the front of the tank. Because of their position, these plants need to be much smaller and slower growing. Otherwise, they obstruct the view of the tank. Second, there are also mid-ground plants, which are somewhat taller. They can be used alongside the outside of the tank and in the middle. The mid-ground plants offer shelter to your fish. They can be useful for breaking up the sightlines of territorial fish. If you have fish that are aggressive towards one another, consider investing in more mid-ground plants. Finally, there are background plants, usually the tallest plants in the tank. 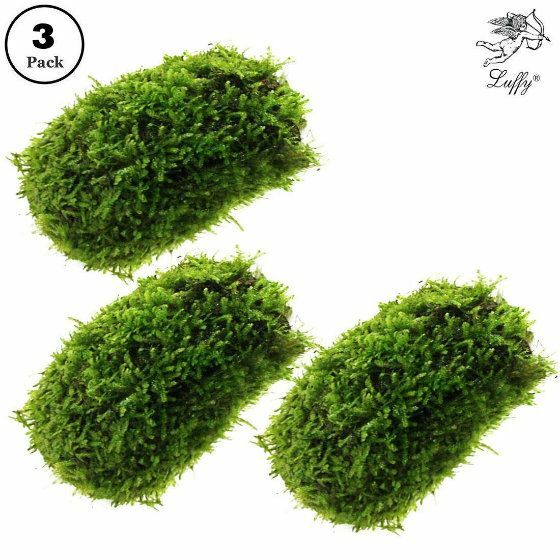 They’re great for covering up any hardware or machinery in the back and also provide a great place for fish to hide. The perfect aquarium has the ideal blend of these three types of plants. If you overdo it with any one type or put the wrong one in the wrong place, your aquarium probably won’t look very good. While healthy plants are good for your fish, your aquarium plants are susceptible to various problems that could impact the health of your fish. For example, if you notice discolored or glossy leaves, this could suggest your plants are diseased. In a lot of cases, this could be due to the environment the plant is living in. For example, the pH of the water could be off or the plants might not be getting the right amount of light. If you notice a blackish layer of slime growing on your plants, this could indicate a serious problem. The most likely cause of this is blue-green algae. This can release toxins into the water, which could be harmful to your fish.